Why settle for a boring old pot? An enchanting Cottage Planter with beautifully hand painted details makes a charming container for your sprouts! 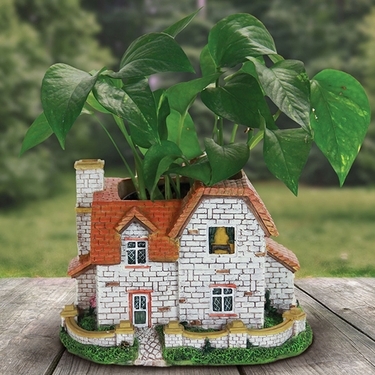 Just plant to your liking and watch this adorable cottage blossom with color and life! At 6 inches, this planter can be enjoyed anywhere indoors or out! Size: 8" x 7.5" x 7"H, Made of durable Resin.